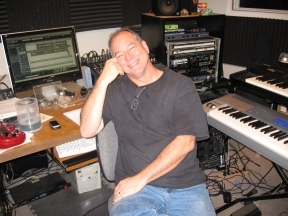 "I’ve worked with Tommy for over twenty years on various songwriter and artist productions. He just gets better and better. He can do what you would expect of a traditional steel guitarist; and if you need something a little different, he’s got the experience to give it to you and put it in the pocket." I was very fortunate to go into a job right out of college that gave me some tremendous experience with great musicians and techniques in a recording studio environment. Mark V Studios in Greenville, S.C. was often referred to as “Little Nashville” or “The Other Nashville” by many of the major label producers on Nashville’s record row. Mark V rates were much more competitive, but the sounds were very impressive and likened to many of the top studios in Nashville at the time. Today you don’t have to go to Nashville or Greenville or anywhere except your computer for high quality recording. If you don’t have access to recording quality steel guitar players in your area, the internet makes this problem a thing of the past. With today's technology, it is commonplace for musicians all over the world to contribute their talents to recording projects without ever meeting face to face. By using commonplace recording formats, we can deliver tracks that will import into your project seamlessly and will add that special sound your songs are missing. The songs you hear on the radio today are most likely generated by keyboardists emulating the sounds of a bass guitar, drums, strings, horns, and more. If you have ever attempted to simulate a steel guitar using synthesizers and samplers you know this is an unattainable task. Because it is one of the most expressive musical instruments ever created, the steel guitar is difficult - if not impossible - to successfully emulate its sounds in this manner. My experience and exposure to a multitude of music types is considered unique within the steel guitar community. 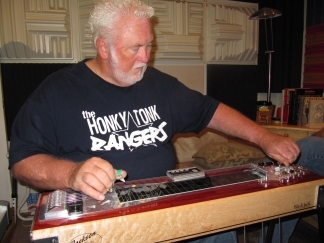 The steel guitar is not just for country music. I have played dobro, lapsteel, slide guitar, and pedal steel guitar on pop tunes, jazz, reggae, zydeco, blues, Motown, light rock, metal, bluegrass, hip-hop, alternative country, traditional country and more. The instrument doesn’t know - or even care - what type of music it’s performing. The only limitation for the music is the player sitting behind the guitar. I invite you to call or send me an email. 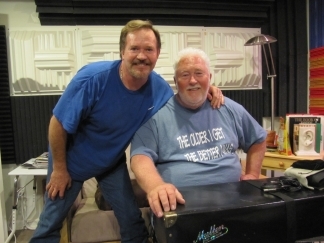 I look forward to discussing your ideas and giving you an idea of what the steel guitar can do for your music.